Nordic Inn offers affordable condo lodging close to major ski areas in the heart of New Hampshire's White Mountains in Lincoln, NH. 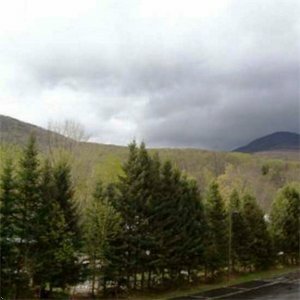 Located near Loon Mountain, Cannon Mountain, The Kancamagus Pass, the Nordic Inn provides a traveler with excellent, home like accommodations and the amenities you need like a Hotel or Motel. Family vacationers love the full kitchens and just because it is a condominium, it is as easy to book a room as any other Inn, Hotel or Motel. Nordic Inn also has year-round hot tubs and a seasonal pool for your enjoyment. There is plenty to do here in Lincoln. Ski fans will enjoy the abundance of skiing possibilities. Outdoor enthusiasts will love the many trails, streams and outdoor adventures. We're sure you'll want to come back to the Nordic Inn for your longer or group vacation rentals. Please note that the person checking in must be at least 21 years of age. From MHT (87N): 1. Take Interstate 93 N. 2. Take the RT-112 exit to N. Woodstock/Lincoln (exit 32). 3. Take a left on to Main Street. Continue on Main Street for one mile. 4. End at 227 Main Street. We will be on the left side of the street.